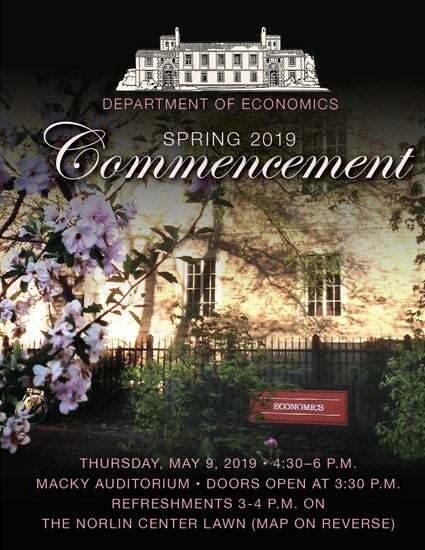 Thursday, May 9, 2019, 4:30–6 p.m.
Refreshments will be served 3–4 p.m. on the Norlin Center Lawn. If you have ADA needs, please download, fill out, and email our Accessibility and Inclusivity Form to economicsucb@gmail.com on or before April 25, 2019. 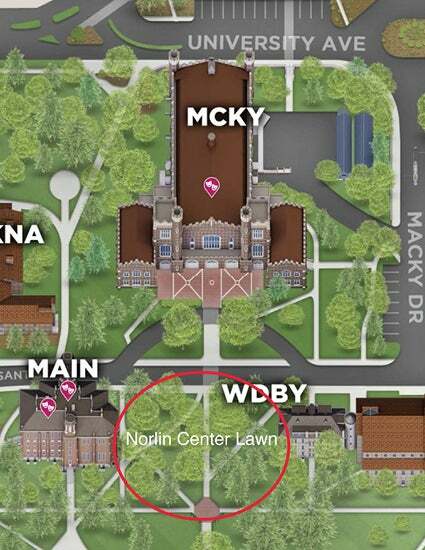 Mobility needs: access to ceremony and reception; access to a drop-off spot and ADA parking location; access to ADA accessible restroom locations; access to ADA seating. Communication needs: American Sign Language (ASL) interpreter; captioning on mobile phones; assisted listening devices; large-print program.